A 2008 National Highway Safety Traffic Safety Survey provided a number of conclusions concerning pre crash factors, including, but not limited to destructed driving, crash ability, road construction and environmental considerations.United States Department of Transportation Causation Survey.pdfAn assessment of the roadway design, environmental conditions, and participant interviews. Among such cases, roads slick with ice and other debris were the most frequent roadway-related critical causes of accidents. The incredibly bad weather in Northwest and Central Indiana clearly reflects how the current icy and snowy weather and resulting slippery road surfaces have resulted in accident after accident. Perhaps the worst of which took place, January 23 2014, on Interstate 94, and US 421.The collision involved over 40 vehicles, including 15 tractor trailers and at least three fatalities. Whiteout conditions probably played a role making it difficult for truck and automobile drivers to see the road in from of them. Just days ago, another multiple vehicle crash involving semi-trucks and other vehicles took place on Interstate 65, just outside Lafayette, Indiana. As a result, northbound and southbound. Lanes were closed for hours. Slick roads,winds, snow and fog limited visibility. This kind of scenario has played out over and over throughout Indiana and Illinois. Padove Law’s experience with injury cases has taught us that no settlement or judgment amount for pain and suffering, medical expenses, disability and lost wages can truly compensate for a permanent condition that can last for a life time. The best lawsuit is the one that is not needed,so accident avoidance and prevention should be primary for every driver. The following suggestions should help to keep everyone on the road safe. 3) clear your vehicle of snow, before driving. 10) avoid doing anything that takes a hand off of the steering wheel or that can be a distraction to you, including eating, drinking,changing stations or using a cell phone( even if hands free. Remember we cannot control the weather, but we can control how we prepare for difficult driving conditions. 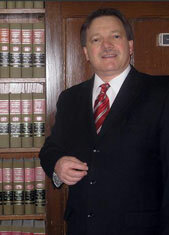 Indiana Truck and Car Accident Attorney Burton A. Padove handles cases of personal injury throughout Northern Indiana, including, but not limited to Gary, Hammond, Highland, Merrillville, Crown Point and DeMotte Indiana. He is a long time advocate for truck safety through his participation with Citizens for Safe and Reliable Highways and the Truck Safety Coalition. Call Toll Free 877-446-5294 if you need assistance.